First, let’s do the math. “The first 1,000 days” traditionally refers to 270 days of pregnancy, plus the first two years of a child’s life (730 days). However, this trend report also looks at the health and lifestyle of the mother and the father during the six months (180 days) before they conceive a baby. 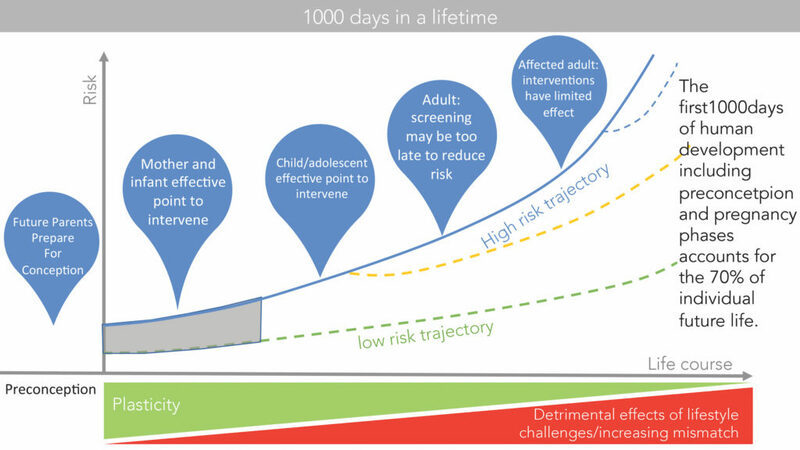 It all adds up to 1,180 days– and a new way of looking at the factors that determine a child’s future health. For decades, medical researchers have studied how a mother’s lifestyle, such as what she eats and drinks during pregnancy, can impact the health of her child. The negative effect of toxic substances on the developing baby, such as alcohol, nicotine, drugs, and environmental toxins, have also received ample attention. In addition, researchers have examined how diet affects the nutritional quality of a mother’s breast milk. And there have been numerous studies that link nutrition in infancy and early childhood to differences in health outcomes, both in the short and long term. There has even been a range of studies on how touching–or lack of touching–can affect a baby’s development. The medical evidence gleaned from this research has informed the advice given by medical doctors and wellness professionals to mothers for many years. However, the impact of the parents’ lifestyle on a baby’s long-term health and intellectual development during the preconception period has received far less attention. In addition, in a mom-centric world, the health of the father’s sperm–and his part in creating a supportive and healthy environment – has been, for all practical purposes, ignored. Given that so many people write and speak about the importance of disease prevention, the absence of looking at health and wellness during the pre-conception period and the role of the father is notable. Parents can set the stage for a healthier life by teaching their children healthy habits at an early age. However, a new perspective was on the agenda at the 2017 Global Wellness Summit. Dr. Sergio Pecorelli, MD, PhD, an academic and surgeon at the University of Brescia Italy, challenged delegates to look before the traditional 1,000 days and recognize that the health of both parents during the preconception period, including their emotional wellness, can impact their child’s health for a lifetime. In other words: It’s time to acknowledge that it takes two people to make a baby, and the health of the sperm when conception occurs, as well as the father’s lifestyle during the pregnancy and beyond, is as important as the mother’s ovum and lifestyle. This new trend puts sharp focus on the role of epigenetics, which is the study of changes in gene function that can be inherited but do not change the underlying DNA sequence. We also explore how environmental and lifestyle factors, along with emotional and social stresses, can alter a baby’s development during preconception, pregnancy and the first two years. In other words, the world is finally recognizing how lifestyle choices can help or harm the genomes and health of an individual for his or her lifetime. The trend also examines how parents are turning to the same wellness therapies and techniques that have improved their own lives, in order to add wellness to their children’s formative years. Equipped with more knowledge and resources than in the past, these wellness-focused moms and dads recognize that they can set the stage for a healthier life by teaching their children healthy habits at an early age. It’s not surprising, that this new trend is also becoming a booming industry. Healthy treatments and programs, from baby yoga classes to organic baby food to relaxing “baby moon” pre-conception getaways, will be a growth factor in spa and wellness for years to come. There is increased awareness that non-communicable chronic disease, such as diabetes and heart conditions, is responsible for 99% of all disease and that preventative measures, including exercise, nutrition, massage, and meditation, can be the most powerful antidotes to ill health. Discussing emotional wellness and mental health is less taboo. There is greater recognition that a mother and father’s stress levels, along with conditions like anxiety and depression during pre-conception, pregnancy and after the birth, can negatively impact a baby’s physical health for a lifetime. For instance, a stressful environment can cause lasting health problems in a child, such as attention deficit issues, depression, anxiety, and ADS. 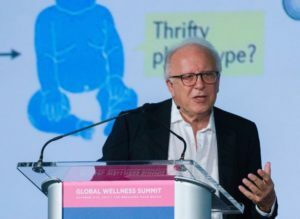 Dr. Sergio Pecorelli, MD and PhD, challenged delegates at the 2017 Summit to look before the traditional 1,000 days and recognize that the health of both parents during the pre-conception period, including emotional wellness, can impact their child’s health for a lifetime. Telomeres are the protective caps of our chromosomes and a window to overall health. Elizabeth Blackburn, AC FRS FAA FRSN, compares telomeres to the plastic tip at the end of a shoelace. Blackburn co-discovered telomerase, an enzyme that can add DNA to telomeres to slow, prevent and partially reverse shortening. In an article in The Guardian, she points out that managing chronic stress, exercising, eating better and getting enough sleep can maintain telomere health. For this study, Blackburn was awarded the 2009 Nobel Prize in Physiology or Medicine, sharing it with Carol W. Greider and Jack W. Szostak. In 2017, Dr. Elissa Epel, PhD, a professor at the University of California, San Francisco, School of Medicine, co-authored “The Telomere Effect: The New Science of Living Younger Longer” with Elizabeth Blackburn. Epel spoke at the 2017 Global Wellness Summit on the future of telomeres. Since the initial study, there has been a dramatic increase in telomere testing and more recognition of the wide-ranging health implications of telomere length. In fact, telomere-testing companies are airing commercials on mainstream television. For example, a study of 100,000 patients, conducted by Kaiser Permanente, the University of California, San Francisco, and National Institutes of Health, found that subjects with short telomeres had a significantly higher risk of death in the three-year, follow-up period. Furthermore, behaviors like smoking and heavy alcohol consumption were associated with shorter telomeres, while moderate exercise was linked with longer ones. While this study was conducted with adults, there are obvious implications for children and babies. If a mother has an unhealthy diet, the quality of her breast milk may not contain sufficient protein and other essential nutrients. Researchers are now taking a fresh look at how the mother’s nutrition, along with environmental toxins such as air pollution, can impact the term of her pregnancy as well as her child’s development. The explosion of “mommy” (and daddy) blogs, along with parenting websites devoted to pregnancy and raising healthy children, has created an army of informed, connected, wellness-savvy parents open to new ideas. It is also fair to say that there is a good deal misinformation on the Internet, given the number of blogs and “experts.” Therefore, medical evidence for wellness modalities, such as the studies archived on WellnessEvidence.com, are becoming a crucial tool. The science of epigenetics explains why a healthy lifestyle is important during this period. 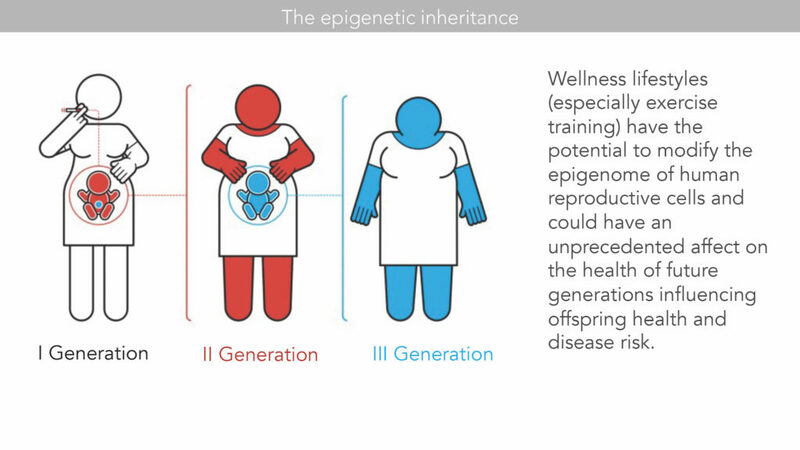 According to Clinical Epigenetic, while epigenetic change is a natural occurrence influenced by factors such as age, the environment, lifestyle, and existing diseases also play a part. In other words, lifestyle choices can help or harm the genomes and health of an individual for his or her lifetime. For example, it is possible that both paternal and maternal obesity could contribute to the inheritance of an obesity syndrome in their offspring. Obese fathers could transmit epigenetic markers on genes that regulate brain development and appetite control that could predispose a child to obesity. In summary, exercise, a healthy diet, sleep, and meditation can be an effective therapeutic strategy to prevent dysfunctional epigenetic programing. But an unhealthy lifestyle could affect the epigenome of reproductive cells and have an unprecedented effect on the health of future generations, thus influencing the offspring’s health and disease risk. Other medical experts at the 2017 Summit, including Dr. Andrew Weil, Dr. Dean Ornish, Dr. Kenneth Pelletier, and Dr. Michael Roizen, underscored this thesis. The first days of human development, including pre-conception and pregnancy, account for 70% of the individual’s future health. Source: GWS Presentation by Dr. Sergio Pecorelli, MD, PhD October 2017. Nearly every woman who sees a health professional during her pregnancy is told to “eat healthy, exercise, and avoid smoking and alcohol.” The idea is to prevent harm to the baby and protect the mother’s health. But what part does the father play? Is his job done when his sperm fertilizes the egg? Or do his diet and lifestyle choices continue to be important? And can trauma that occurs during pregnancy–or even during childhood–be transmitted to offspring? Foods that moms and dads eat before conception, and what the family eats during pregnancy, can impact the child’s health for a lifetime and for generations to come. This is an even more serious concern in a world where an estimated 795 million people do not have enough food to lead a healthy active life (about one in nine people on earth). As the audience for parenting websites and blogs continue to grow, editors have developed unique insights into the concerns of a new generation of parents. Danielle Campoamor of Romper.com, a website for millennial moms, reports that the number of women who want to discuss emotional issues, such as depression, is rapidly increasing. The March of Dimes also cautions that too much stress during pregnancy can impact the baby’s health and lead to conditions like high blood pressure, which can cause premature weight. That stress can cause development problems, such as attention deficit issues and anxiety. In her keynote presentation at the 2017 Global Wellness Summit, Elisa Epela, PhD affirmed that there has been a dramatic increase in telomere testing and more awareness of the wide-ranging health implications of telomere length. And stress can lead to harmful epigenetic changes that can be passed to our children. A healthy lifestyle during preconception, pregnancy, and infancy can prevent disease. Source: GWS Presentation by Dr. Sergio Pecorelli, MD, PhD, October 2017. Thanks to those aforementioned blogs, websites, generations of articles on child-raising, and lots of good old-fashioned advice from friends and family, people around the world know that it is important to feed their children healthy food, help them learn how to manage stress, and encourage exercise. And if we are fortunate, we have the means and time to do so. Much has been written about the benefits of wellness practices but three mini-trends stand out. One example is Little Spoon, an organic, baby food company with a tagline that states, “Your baby food shouldn’t be older than your baby.” Hipp Organics in the United Kingdom is another example of the vast number of boutique brands marketing organic baby foods. And the big retailers, such as Gerber’s, UK-based Planet Organic, and U.S.-based Whole Foods have all jumped on the organic baby food bandwagon, contributing to a global market that is forecast to reach $11.1 billion by 2023, growing at a rate of 10.6% compound annual growth rate during the forecast period. 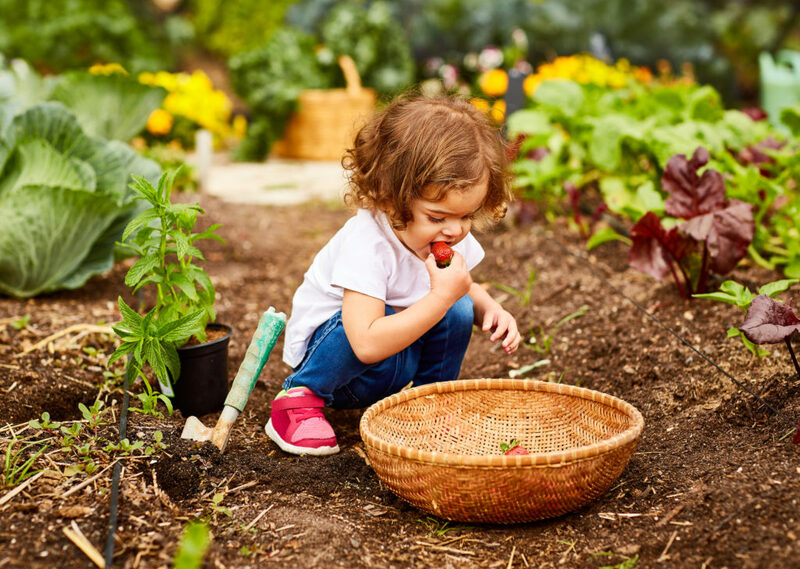 In Europe and other parts of the world, a more natural food supply is readily available for adults and children. However, as the global marketing of “fast” and processed foods continues to explode – think McDonald’s “Golden Arches” brand in China – demand for organic food retailers will continue to trend. Gut health has attracted the attention of wellness-minded consumers, so it is not surprising that probiotics designed for infants are also gaining in popularity. Proponents say a baby’s intestines needs a proper balance of beneficial bacteria and yeast and that these microflora play an important role in combating pathogenic viruses and bacteria. Microflora are also said to help babies digest milk and develop a healthy “gut,” avoiding allergies and more serious developmental disorders. Yogurt with probiotics is a popular food for young children, and many baby cereals are now fortified with probiotics to support digestive system health. A landmark study by Tiffany Field, PhD, demonstrated that preterm newborns who received moderate pressure massage therapy had greater weight gain. A report published on MarchOfDimes.org explains that preterm birth is now the single most important cause of neonatal deaths (babies under 28 days) and the second leading cause of death in children under age five. The data is based on estimates in 184 countries, which were aggregated by Born Too Soon. A number of factors contribute to premature births, including air pollution. (India and China have the highest number of pre-term births.) But the good news is that in controlled studies conducted around the world, there is greater weight gain in preterm newborns that received moderate pressure massage therapy. Tiffany Field, PhD, Director of the Touch Institute at the University of Miami, pioneered the science of touch. She explained her groundbreaking study on the use of massage on premature babies to delegates at the 2017 Summit. In addition, a study conducted by a research team at the University of British Columbia, Canada, showed that the amount of contact received by babies can affect them at the molecular level, and these effects can last for years. According to the study, which was published in Development and Psychopathology, babies who received less physical contact and are more distressed at a young age may experience epigenetic changes that affect gene expression. Parents are also turning to massage for babies with normal birth weights, as well as toddlers, publications like Parents Magazine provide complete instructions. In a related article, Field explains massage stimulates the babies’ central nervous systems and causes their brains to produce more serotonin, a feel-good chemical, and less cortisol, which is related to stress. In the future, wellness treatments and techniques, such as yoga and mindfulness, will be the first choice to treat babies and children of all ages suffering from injury, sleeplessness or pain. As more research demonstrating the positive impact of wellness modalities is released, we expect medical and health practitioners to adapt new guidelines that go beyond “no smoking or alcohol during pregnancy.” And these guidelines will include dads as well as moms. We also predict that more medical professionals will recommend wellness treatments and techniques, such as yoga and mindfulness, for moms, dads, and babies. For instance, massage will be the first choice to treat babies and children of all ages suffering from injury, sleeplessness or pain. Baby monitors are old news, but also expect to see more technology that focuses on the mother, rather than the baby. One current example is Willow, a digital breast pump that tucks neatly in a bra and tracks the amount of milk collected, the collection date, and the length of each pumping session. We think in the future, digital pumps will also measure the quality of the breast milk, including protein levels and toxins–a development that could improve the health of babies worldwide. Group exercise classes like Stroller Strides®, a total-body workout for moms and dads with kids in tow, while entertaining little ones with songs and activities, will continue to increase in popularity. Mommy (and daddy) and baby yoga classes will also become more mainstream. And let’s not forget where we began this trend: new meaningful research. As mentioned above, research on the first 1,000 days is moving from a narrower, “What-should-mom-eat?” focus to a serious look at how both parents will influence a child’s health–before conception, in pregnancy and in childhood– for a lifetime. An ambitious three year study under the direction of Dr. Pecorelli and a global team of scientists and clinicians will examine how the first days of human development, including preconception and pregnancy, can impact up to 70% of an individual’s lifetime health.